Your adjustable rate mortgage payment is increasing. You want to consolidate monthly debt such as credit cards, car loans, etc. Your current interest rate is higher than today’s rate and you want a lower payment. You want to “cash out” equity to use for college tuition, vacation, or home improvements. Bringing down the interest rate on an old mortgage loan is a common reason for refinancing a home loan. Mortgage rates increase and decrease, and borrowers who want a lower rate can't call up their lender and ask for a reduction. Getting a new rate on a home loan involves refinancing and qualifying for a cheaper mortgage rate. Benefits to bringing down the interest include lowering the monthly payment on a loan; and borrowers paying an adjustable rate -- a rate that changes every few years -- can refinance to a fixed rate and possibly avert future interest and payment increases. Here at Polaris, we strive to offer the best rates in today’s market. We encourage our buyers to get multiple quotes because we have full confidence that we offer the lowest rates in today’s market! 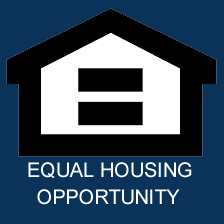 Homeowners can sell their house and acquire access to their equity, or they can apply for a cash-out refinance and borrow money from their equity. The method of cashing-out equity with a refinance involves applying for a new mortgage loan, taking cash from the equity and then rolling the borrowed funds into the new mortgage loan balance. Cashing out equity with a refinance will increase the mortgage loan balance, which can likely increase monthly payments. However, cash-out refinances can provide borrowers with immediate cash to pay down credit cards or renovate their home. Call us today to see if we can reduce your monthly output to put yourself in a better financial position. Refinancing a mortgage loan changes the loan term, and borrowers can either refinance their mortgage loan for another 30 years or choose a reduced loan term and pay off the mortgage sooner. Refinancing for an additional 30 years benefits borrowers who want to keep their home loan payments as low as possible. On the other hand, refinancing and paying off the mortgage in 15 or 20 years can result in paying less interest on the loan, therefore, build equity at a faster rate. Contact us today and we will give our professional advice to see what is best for you. We offer a free consultation and have no problem taking a look at your unique situation. Another common reason to refinance a mortgage loan can include removing someone's name from a mortgage. This is often necessary after a divorce or when two unmarried people own a home together. Lenders do not arbitrarily take someone's name off a mortgage loan and remove their obligation. The person willing to retain the property has to refinance the mortgage and re-qualify for the home loan based solely on their income and credit score.